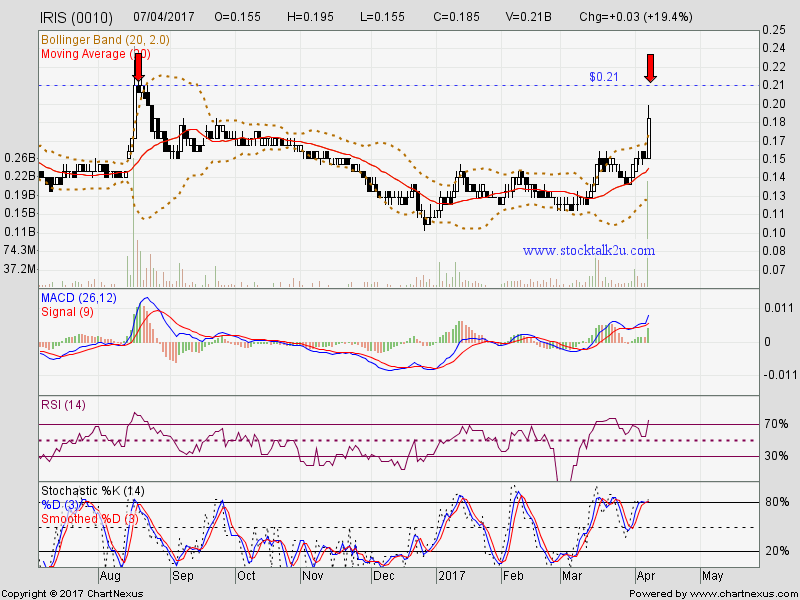 IRIS (0010) heading RM0.21 resistance level. 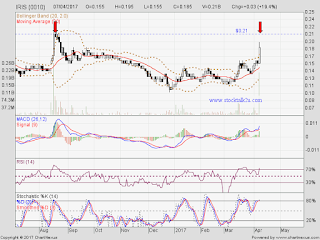 Will it retest RM0.21 level? Subsequent resistance @ RM0.22 level.